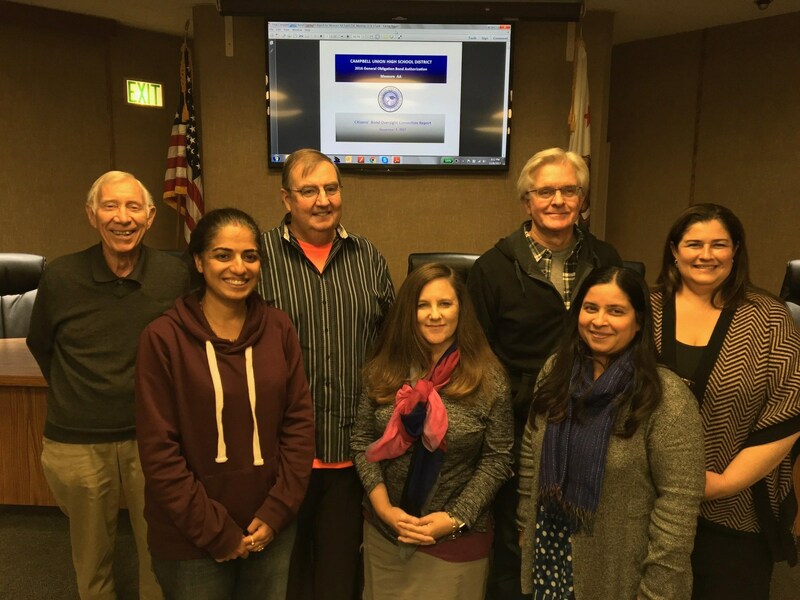 Citizens Oversight Committee members Jack Reeves, Pooja Chopra, Ron Wheelman, Andrea Ciplickas, Creighton Nolte, Smita Garg. Committee members not in the picture Ray Dyer and William Becker. Also, Nancy T. Pfeiffer-Assistant Superintendent. Thank you so much to all who voted to pass Measure AA! 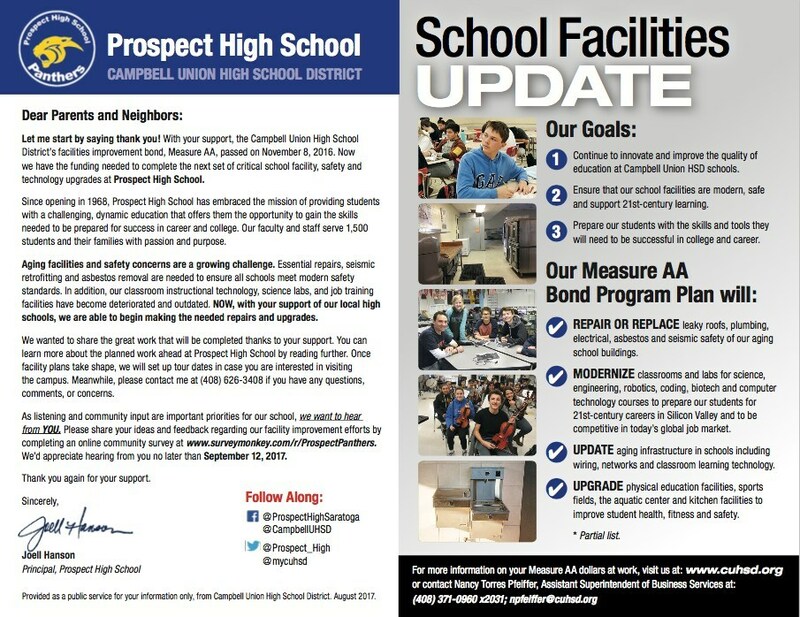 With your support, the Campbell Union High School District’s (CUHSD) facilities improvement bond, Measure AA, passed on November 8, 2016. 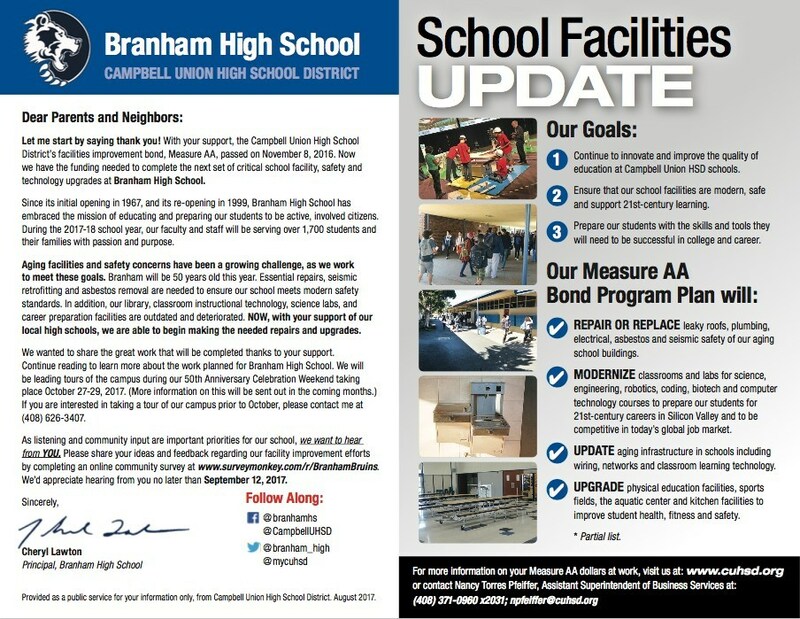 Now we have the funding needed to complete the next set of a vital school facility, safety, and technology upgrades at all our campuses. Our top priority at Campbell Union High School District has always been to provide outstanding and well-rounded education for our local high school students. Students growing up in the heart of Silicon Valley should be the best trained and most prepared to compete in the fields of technology, science, and engineering. 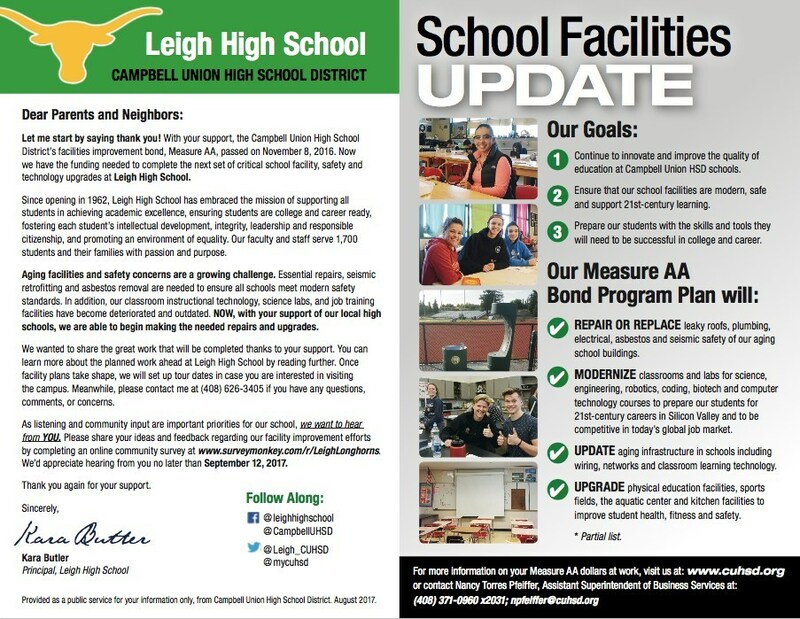 Many of our high schools were built more than 60 years ago and required essential improvements to ensure classrooms provide a safe, modern learning environment that prepares students to remain competitive in academic and career pursuits. Furthermore, enrollment is growing in our local high schools because of the in-demand education they provide. Your support in passing Measure AA will help us remedy this issue. Additional classrooms will be added to prevent overcrowding. 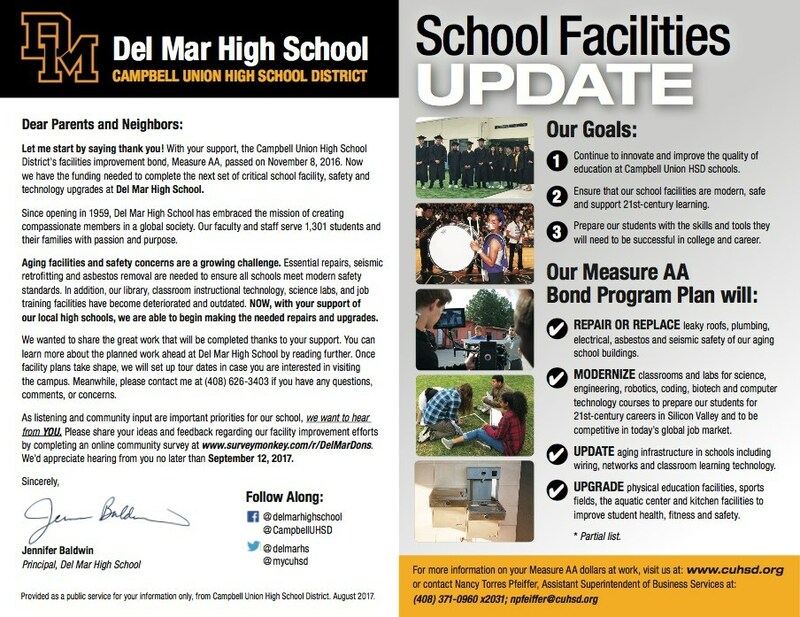 This, along with other campus improvements, will help CUHSD meet the evolving needs of our community. 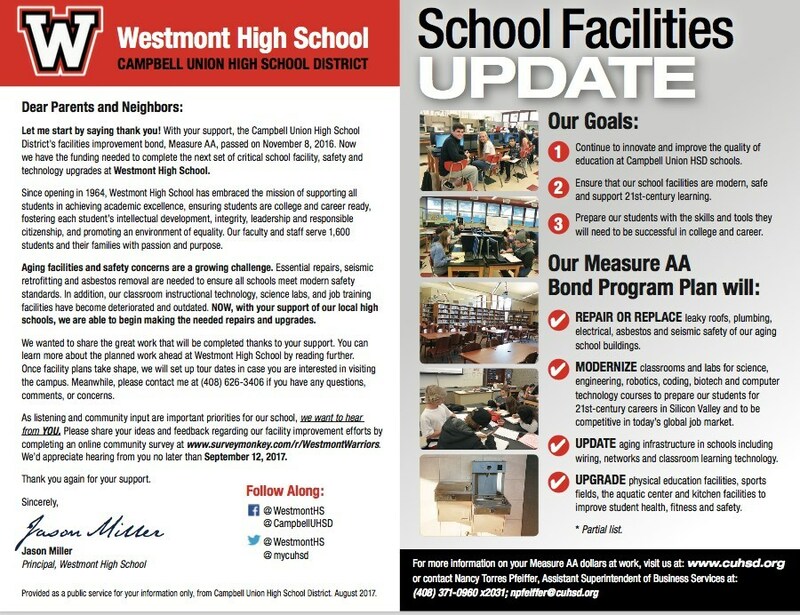 Click on the files below to view information from our most recent Facilities Advisory Committee meeting.